Summers in Tampa and the surrounding area are hot, so it is likely that your air conditioner gets a workout. However, during fall and winter, you won’t be using it as much. 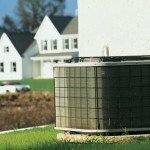 Learning how to maintain your air conditioner during this off season is important for extending its life. While changing the filter in your air conditioner is important all year, it will likely need to be replaced far less often in the off season. However, making sure that you remember to do so is important for not only the quality of the air in your home, but also for the efficiency of your air conditioner. When the filter is clogged, air cannot flow through it freely. This means that your unit will have to work much harder than it should to cool your home, thereby reducing its life span and increasing your energy bills. During the winter months, you may want to consider having your ducts professionally cleaned. This is a task that should be performed every two to three years depending upon the amount of dust in your home and the frequency with which the filters are changed. Your air conditioner delivers cooled air to your home via these ducts and if they are clogged with debris, this debris is circulated through your home each and every time the unit runs. At the same time, the technician can check to see whether there is condensation inside your ducts that can provide the perfect breeding ground for mold and bacteria. If you feel confident in doing so and you are familiar with the various parts of your air conditioner, you can clean the condenser coil and the evaporator during the off season as well. First, you should check the condensate drain for any blockages; if debris or mold is present, a solution of bleach and water can take care of it. You should also inspect the fins for any debris or dust that may be present, but be sure to use only a very soft brush and stroke in the same direction as the fins to prevent damage. 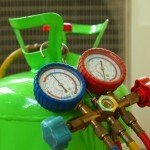 The best way to care for your air conditioner all year round is to call for an annual inspection. When you do this, a technician will come to your home to examine the various parts of your air conditioner and determine whether or not any potential problems exist. He or she will also take the time to inspect your ducts and look for condensation that may be a breeding ground for mold and bacteria. Finally, the technician will even measure the airflow through your ducts in order to ensure that your unit is operating at peak capacity. While a service call does come with a cost, it is important to remember that this annual checkup could save you hundreds of dollars on your energy bill. 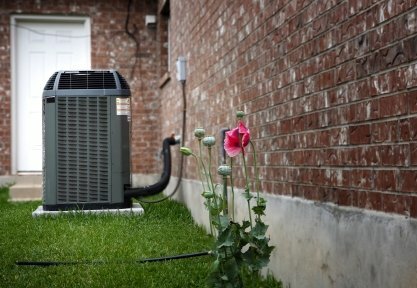 When your air conditioner is running as it should, it doesn’t have to work as hard to cool your home and therefore costs much less to operate.